Jimmie Johnson may need a Porta-Potty bodyguard here this weekend, if Gil Martin and the Richard Childress follow up on a plan to slow down Johnson's charge to the NASCAR championship by locking him in a john. But that may be about the only way to keep Johnson and crew chief Chad Knaus from taking that sixth stock car racing title in Sunday's 400-miler at Homestead-Miami Speedway (3 p.m. ET). Yes, Johnson need only finish 23rd or better to earn the Sprint Cup trophy. But, yes, Johnson's last two runs here finishing poorly -- 32nd and 36th. And over his 12-year Cup career Johnson's finishing average at this 1-1/2-mile track is a rather mediocre 15.3, no wins. though he does have two poles. Of course virtually every time Johnson has come here, he's had the championship in his eyes, rather than a season-ending victory. In those successful championship runs, Johnson finished 2nd (2010), 5th, 15th, 7th and 9th. 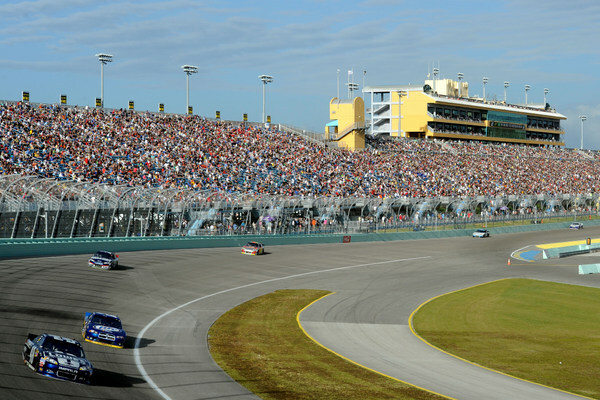 With nine winners in 14 races, this track is not that predictable, not just because the championship skews everything but because this NASCAR season is so darned long, and because typically a number of crewmen and drivers are looking at/for new jobs. Johnson has two ways to look at this thing: One, he's got a lead in the standings that he can go for the win, and take the title in a righteous way. Or two, he can play it conservatively, keeping an eye on Matt Kenseth and Kevin Harvick, the only two men with any mathematical shot at the upset. "We're just going to have to see how it all unfolds. We're not dumb. We try to be fairly intelligent and understand all circumstances, and we understand there are two cars we're racing, Matt and Kevin. That's really where our main focus has to be. "But we also know if we go out there and lead laps and can battle for the victory, we're going to ultimately beat those guys. That's kind of our plan -- see if we can close it out big." Kenseth and Harvick are so far behind now they really have nothing to lose, except second place in the final standings. And if numbers bear out, Harvick should catch Kenseth for the runner-up spot. They're only six points apart. Only one man has a better finishing record overall here than Harvick (7.9), and that's Carl Edwards (6.0). Kenseth, who in fact may have lost the championship when he lost momentum at Texas two weeks ago, doesn't have a very good finishing average here, 17.615, with one win (2007). Still Kenseth says he's enjoyed this career-best season. He's won seven times, more than anyone else. Logically Sunday's winner should be one of those four. So, with 10, 286 laps behind them this season, and only 267 yet to run, is it too early to start thinking about 2014? 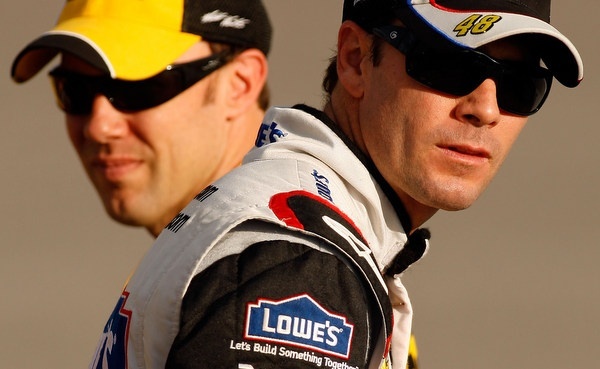 If Johnson and Knaus do take this title, it will be their six in the past eight years. Is there any hope to stop this machine next season? "I don't think it would anyone, that would go on to win another championship, and again be the benchmark everyone has to beat next season," Jason Ratcliff says. "It wouldn't surprise me at all." 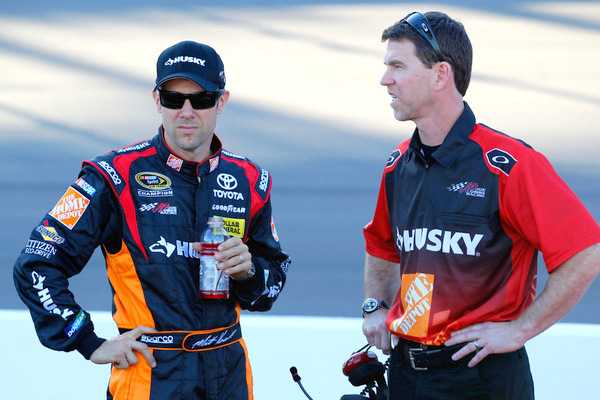 Kenseth and Ratcliff, his crew chief, sure had Johnson's number most of the season, right till the last two weeks. And their Phoenix collapse is still difficult to understand. "There's no way that a disappointment like we had at Phoenix is going to overshadow all the accomplishments and the great season that we've had this year," Ratcliff says. Meanwhile, any rivals hoping to see Knaus move to a new job, well, keep hoping. He expects to keep running the Johnson-Rick Hendrick team "for a while yet. "We're definitely in a very comfortable environment. There are good opportunities for us to win a lot of races and battle for championships. "If things continue the way they are, we should be able to stay together for a few more years yet." 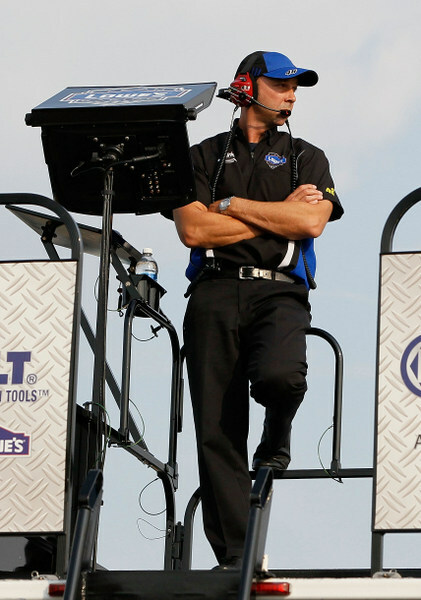 What might life after Jimmie Johnson be like for Knaus? "I don't know what the next step is," Knaus says with a laugh. "Mr. Hendrick doesn't give me enough time off work to think about anything other than racing. "I don't know if there is another one. "I don't know what I'm going to do. One day we'll wake up and I'll probably just check out and be gone. "But right now I really enjoy what I'm doing." -- Well, well-hyped Danica Patrick underperformed, to say the least. After winning the pole at Daytona for the season opener, things have gone downhill, in this her rookie season. She has been a consistent 30th place qualifier and consistent 26th place finisher, little more. 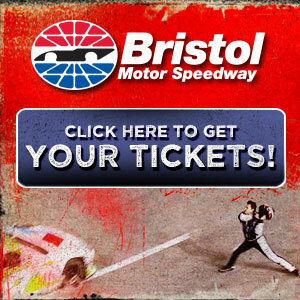 -- Kyle Busch again failed to make a strong enough bid for the championship. That crash at Kansas in Round Three of the playoffs all but took him out of the game; mediocre runs at Martinsville, Texas and Phoenix clinched the deal. In his last six races Busch has led only 28 laps, off the pace for a man who is one of the year's top three lap leaders. -- Brad Keselowski, last year's champ, failed even to make the playoffs this time, and his season was forgettable. -- Mark Martin, legendary and ageless, has had a sluggish season, and this may be his last as a tour regular. He finished third in the Daytona 500, but after that things didn't go so well, either with Michael Waltrip's Toyota team or with Tony Stewart's Chevy team. ESPN's Phoenix 500K earned a 2.7 US household rating, averaging 4,271,141 viewers. That's a bit lower than last year's 2.8 rating. Still, of the eight playoff races run as scheduled (Chicago was rain-delayed), six had a ratings bump from last season. 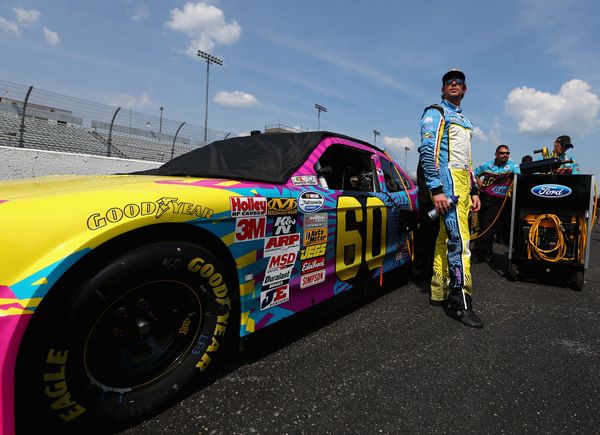 NASCAR's Nationwide tour continues to be something of an enigma, as the sanctioning body looks for a new series sponsor. The Saturday races, though, typically more exciting than Sunday's fare, continue to generate only a bit over 1 million viewers, with a 1.0 rating that has remained fairly steady for years now. "This past season of NASCAR has been an awesome experience. I have made a lot of great friends, had a lot of fun and gained a new appreciation for all aspects of this sport. Jack Roush and everyone at Roush Fenway Racing have gone above and beyond to try and help me succeed and I am truly grateful for their support. I would like to thank them and all of the other people who stuck behind me during the last two years as I tried to learn how to make a successful career in NASCAR. "It's tough to step back now and prove the critics were right, but unfortunately my results were not good enough to get the sponsors I needed to appropriately fund next season. "My wife Lyn-z has been more then supportive of my foray into NASCAR, often times being my biggest source of encouragement and support. But as my wife had to take a step back from being a professional skater to let me chase my goals in racing, I too need to take a step back and look at my situation as a father and husband. "The NASCAR schedule is grueling and takes enormous sacrifices from those you love to make work. With a lack of funding next year, now is my opportunity to sit back and offer support as she chases her goals. "I hate to quit and I hate to fail, but sometimes things work out as they should. I've never been able to figure out the finesse required in pavement racing and that is disappointing. But I'm looking forward to driving more rally and racing more off-road trucks, and there will be some announcements on those fronts shortly! "My wife is excited to get back to skating on the Nitro Circus Live Tour, and I'm excited to spend some quality time with my girls. "Thank you to all my fans for the support, and I hope to see each of you at an event in the near future." Submitted by ricky on Thu 11/14/2013 - 06:16. Submitted by jim on Thu 11/14/2013 - 08:51. Just wanted to say thanks, its always fun to read your comments and thoughts about NASCAR. Its been a long year and it seems that the series is slowly fading away. No longer do the infields and campgrounds find the numbers that once graced the events. The competitors are changing and the owners are still hanging on. The chances of a new group of owners replacing these racers does not seem realistic. Finance people are more likely to buy existing teams than racers becoming owners as in years past. The thought process has changed and therefor the sport has changed. The track ownership parallels that of the team principles. The caretakers of the sport have passed in recent years and their replacements have no vision of what needs to be done. The decisions NASCAR has made this year are reflective of the poor decision making of the sports leaders. From the Daytona near disaster during the Nationwide race to the abysmal decisions of the Richmond farce. Green White Checkers at a plate racetrack? When was the last time they actually raced to the line, now they wreck to the line. When the Waltrips were made the face of NASCAR the fate was all but sealed. Integrity has been replaced by the actions of a clown, on both the openness and the belief that the means are justified by the circumstances, but for me it is still hard to live with the the way this whole thing was handled. The wrong people where hurt and the guilty where set free. Martin Truex jr and NAPA where not the folks who acted questionably and yet they suffered the most for the actions of others. Karma, what comes around goes around. When you hang with fools, do not be surprised by their foolish behavior, for it could fall on you. This has been a long trying year and as always no matter how you continue to do what you feel is needed to cover and question issues the fans want asked and answered. Everyone might not love you but I find it hard to believe they do not respect you. I know that is not why you do this, but I have followed you for longer than I want to admit, and again just wanted to say thanks and I appreciate your candor. Keep it WFO and enjoy the off season. Submitted by henry on Fri 11/15/2013 - 10:26. Finally some says what I have thought since Jimmie and Chad flipped the first switch on Gordon\'s used championship fleet of cars. He was point leader at Talladega when taken out by Mark Martin on the pace lap of all things, what a shame. I could not believe it. New point, Gibbs has got to have a \"skunk works\" or something, their performance is feast of famine. They did pioneer the \"twisted sister\" car, I noticed 20\'s high right rear spoiler angle the first time they used it, and Pemberton fiddled while NASCAR burned. And the damage reports of dyno engines blowing up, nobody else has seemed to do or reveal that. And see if you can find a restrictor plate for Dale Jarrett, somehow convince him to speak about half as much as he does!! Good Luck Henry in Muskogee, OK.